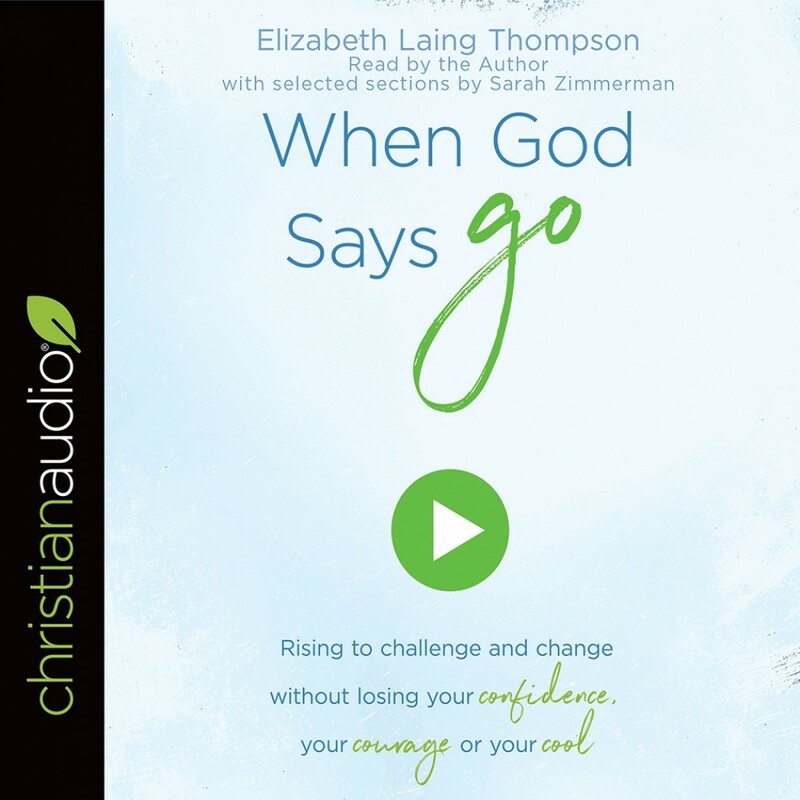 When God Says "Go" | Elizabeth Laing Thompson | Audiobook Download - Christian audiobooks. Try us free. One small word. . .so much power. When God says, “Go,” we face one of life's greatest decisions. When God says, “Go,” we must face our fears. . .our excuses. . .and our selves. When God says, “Go,” it's time to answer His call wherever it leads. When God says, “Go," what will you do? Author Elizabeth Laing Thompson invites you to walk alongside people of the Bible who were called by God to fulfill His purposes. . .people like Moses, Rebekah, Abigail, Jeremiah, Mary, and others. These Bible heroes responded much like we do--with a jumbled-up inner storm of excitement and fear, insecurity and hope. Their stories and struggles will provide a roadmap for your own story, helping you face your very own doubts, regrets, and worries. When God calls, it’s time to go. Maybe somewhere new, someplace you've never been. Maybe it’s time to go forward after being stuck with one foot in the past. Maybe it’s time to go deeper—in Bible study or relationships. Time to go higher—in prayer or dreams. Time to go and give—to use talents and opportunities God has given you. Or maybe it’s time to go and grow, right where you are. . .to dig into the Word, dive into your heart, and become the woman God is calling you to be. Ready or not, God is calling us all to go somewhere new in our walk with Him. So what are we waiting for? Let’s answer His call. Let’s get started!